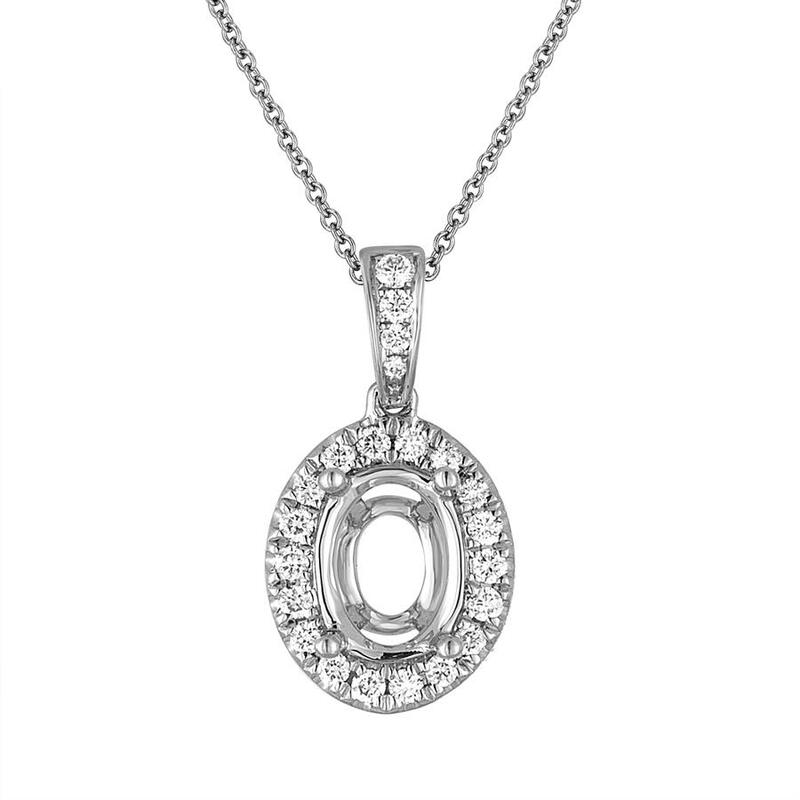 Oval Shape Diamond Halo Pendant With Bail. Accommodates 9.0x7.0mm Oval Center. Additional Sizes Available.